Platforms have become a core fundament of many technology industries. Platforms not only enable new products and services but have also been shown to influence strategies, shape business models, and even transform entire industries. Platforms play a particularly important role in the mobile ecosystem. The success of smartphones has led to an intense battle of mobile platforms, each looking for ways to become the system of choice for mobile device manufacturers, mobile network operators, and mobile application developers. Drawing on theories of platform markets, strategic networks, and business ecosystems, this paper uses a visualization approach to study the evolving global interfirm structure and examines strategies used in the mobile platform ecosystem over the past five years. We identify important differences between mobile platform strategies and discuss their implications for both mobile ecosystem participants and the future of the app economy. Accepted after three revisions by Dr. Bub. 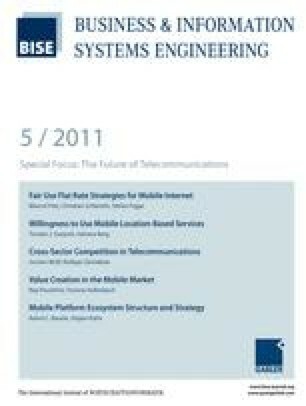 This article is also available in German in print and via http://www.wirtschaftsinformatik.de: Basole RC, Karla J (2011) Entwicklung von Mobile-Platform-Ecosystem-Strukturen und -Strategien. WIRTSCHAFTSINFORMATIK. doi: 10.1007/s11576-011-0286-y. The authors would like to thank the editors and four anonymous reviewers for their helpful comments and feedback. The authors would also like to thank Vincent Hoogsteder and Gert Jan Spriensma of Distimo B. V. for their insights on app store evolution and providing access to detailed data.